– Lourri Hammack, President of Laika House. Last night, TMMPDX.COM and Portland Female Executives hosted a sold out fundraising event honoring 9 inspirational and influential women in the PDX community. Attendees mingled and networked as they bid on silent auction items with proceeds going towards Project Lemonade. Chef Sarah Schafer, Executive Chef at Irving Street Kitchen, prepared the night’s fabulous 4-course meal. Local businesses generously donated items to our silent auction that helped to raise thousands of dollar. 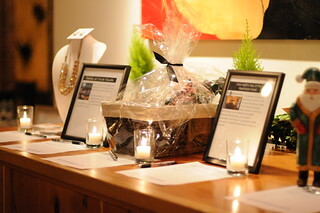 The silent auction helped to raise thousands of dollars, some items included a night’s stay at the historic Heathman Hotel, a handmade bag from Olive Juice, Circle Studio Pilates and Gyrotonic lessons,Bome Eyewear, Cooking Lessons by Executive Chef Sarah Schafer and tennis lessons with Australian Tennis Pro Sharon Fennell. Portland comedian, Bri Pruett, entertained the crowd as the evening’s MC. 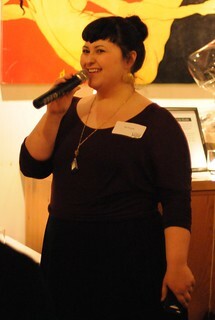 Bri Pruett, MC of the night and Portland comedian, provided some laughs and featured event tweets throughout the night. Founder of Project Lemonade, Rhonda Meadows spoke about Project Lemonade’s mission in providing foster youth of Portland with new clothes and shoes. They have managed to help over 3,000 foster youth with providing new clothes and giving them a great sense of self esteem as they begin the school year. 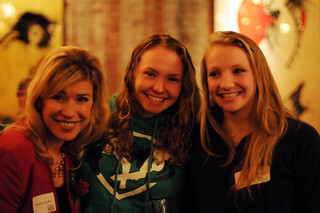 KGW news anchor, Steph Stricklen, surrounded by her adoring fans! 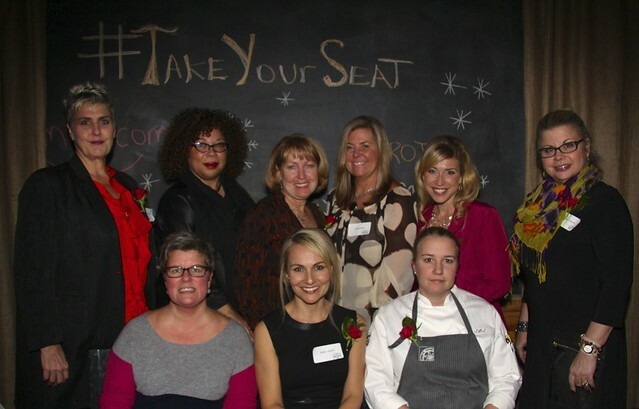 #takeyourseat Fundraiser was a huge success this year! THANK YOU to all the honorees, attendees and volunteers for taking time to help support Project Lemonade, Portland Female Executives and TMM’s PSU Scholarship Fund. For more event photos, check out our event photo album.